one of four installation views. Detail of the screen printed sign included in the sculpture/installation "Baustelle Villa Schöningen". 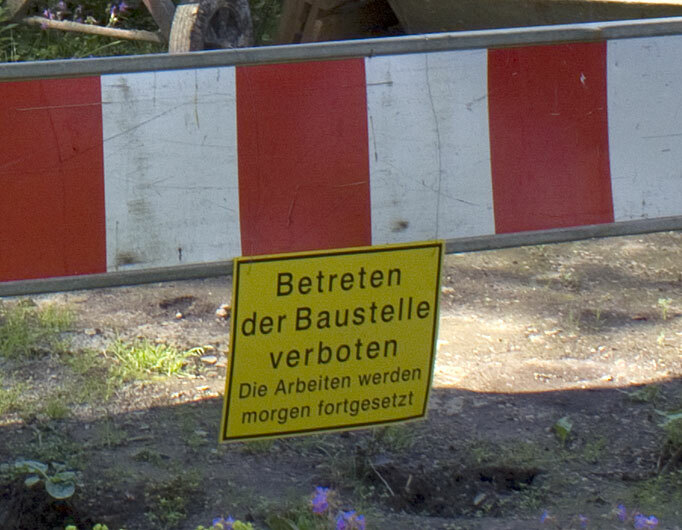 The text reads in translation: "Forbidden to enter building site. The work will continue tomorrow"
Other work that thematizes "tomorrow": Rules of the Game, 1993  Foundation, 1998  Tomorrow something wonderful will happen, 2000  Tomorrow it will be your turn, 2009.